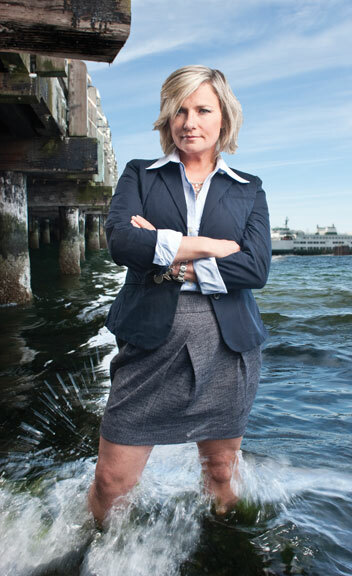 When Susannah Frame launched her “Waste on the Water” series in March, detailing a state ferry system financially running amok, she unleashed a wave of citizen ire seldom seen in Seattle. Among her revelations: a decades-long tradition of reimbursing some ferry employees—mostly relief and so-called “special project” workers—for their time and mileage to and from work (one employee earned more in travel expenses, $72,950, than in annual wages, $60,423); the padding of overtime pay by chief engineers (one clocked triple time, $140 per hour, while his boat was out of service); and a $5 million ordering goof for generators that were incompatible with the ferry fleet. “People went bonkers…crazy,” recalls Frame. “I’ve never seen anything like it, ever.” Most surprising to the Yakima native were the ferry workers who were calling in with tips. “I thought they’d hate me, [but] I would drive on a ferry, and they would give me a thumbs up....They had a feeling that something was wrong and that waste was going on....So I think they felt a little bit validated.” Public outrage intensified when Governor Christine Gregoire, given a chance to respond to the reports, appeared disengaged and defensive on camera. Most Influential: Bill Gates Sr.